How readable is that slide? On a 640x480 screen with 72dpi resolution, a 16pt font looks quite large, so it ought to be legible on a presentation slide, right? It certainly looks like that way on the 720x576 screenshot here. Mind you, this example was easy! It's white text on black background. Most slides have lower contrast than that. 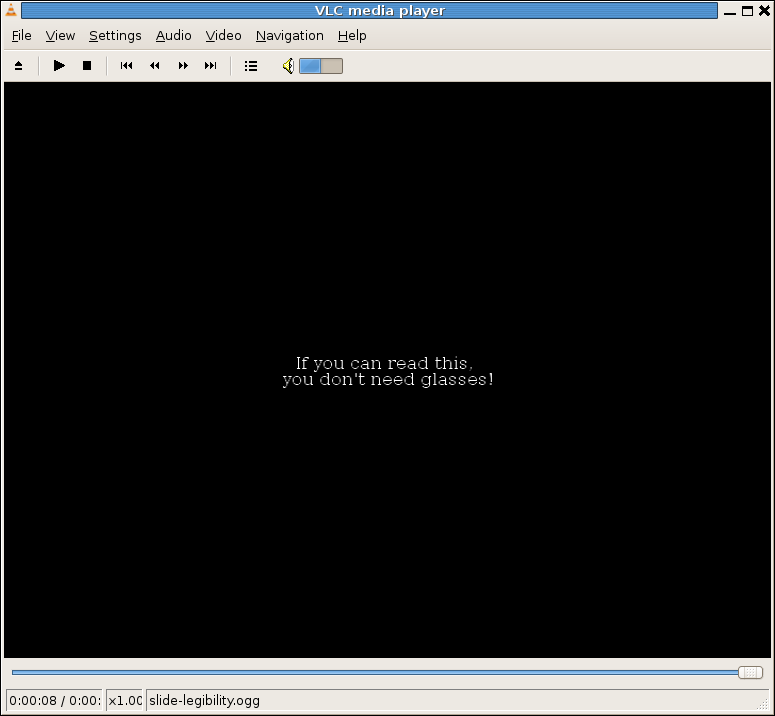 The half-resolution example is shown at 200% size, which many users will likely prefer to a small 100% window.